Go to www.pozible.com/paapedi Many small contributions will help us get over the $4,000 tipping point. We’d love to get well past this point, and on towards $11,000 – that’s our original commitment (see the budget on the main page). Check this one out. If you live in Victoria, join a Sri Lankan banquet with Prof David de Kretser AC, former governor of Victoria and passionate climate change advocate. There will now be 26 young participants, starting the ride on Wednesday 13th March. There is a wonderful mix of young men and women – from across the country, and from Hindu (Tamil), Christian, Sinhalese, Moslem and Burgher backgrounds. Kanchana has been on national TV once already. The largest English language paper ran a full page article on the Journey. A journalist from another paper will be accompanying the trip! There were 22 journalists at a press conference yesterday, which was called to promote the Paapedi Journey. Just in the last two days, two critical sponsors have emerged – costs of the bikes and helmets are now covered. Taking these costs out, JCJ still needs to get well beyond $5,000 to reach its original commitment. So please help out, with $10 or more. 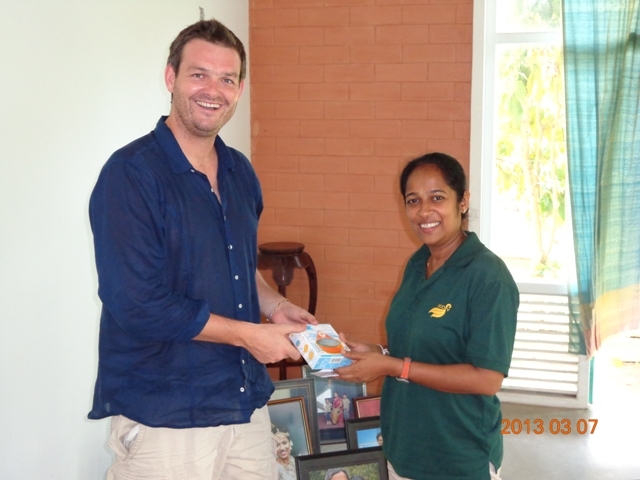 On a flying visit to Sri Lanka, Martin Carlin from WattElse Solar delivered 26 solar lights to Kanchana for each rider. 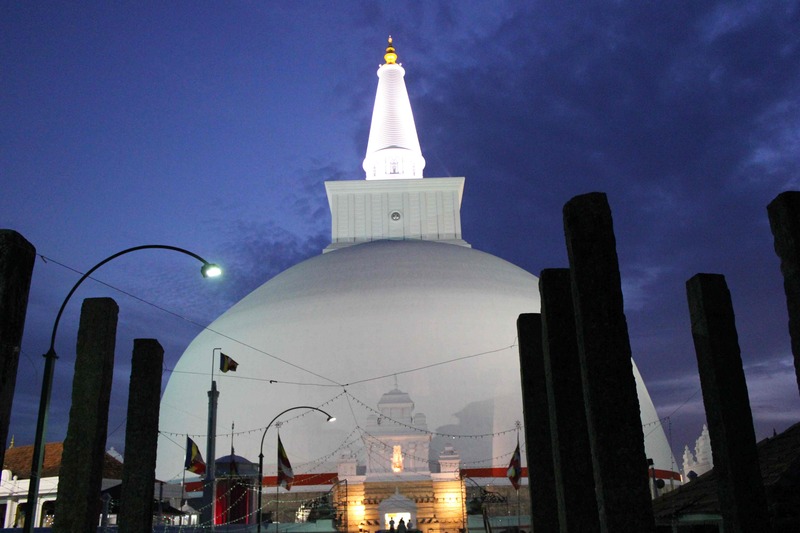 On Earth Hour Day, they will provide the lighting at the gathering in Colombo to celebrate the end of the Journey. Many riders are expected to converge.Here’s Martin Carlin from WattElse Solar in Australia handing over one of 26 solar lights to Kanchana – one for each rider. Journeys for Climate Justice celebrated its second birthday on Tuesday 5th March at a pub in Melbourne. Kanchana joined us by skype from Sri Lanka, and really impressed with her warmth and information. Our guest speaker was Donnie Maclurcan, from Project Australia and Post-Growth Institute. He’s a real dynamo, and we loved his advice to start small – and build from the strengths of the people who connect with us. 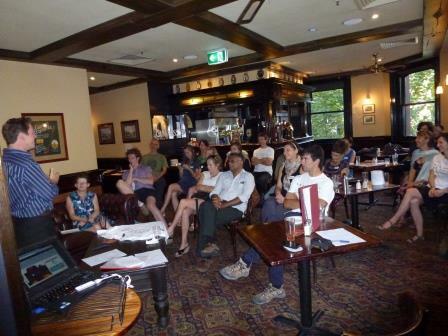 On Thursday 7th March, JCJ held another function in Westgarth. In part, it was held here because Kanchana really touched many people when her kids Boo and Nipu attended Westgarth Primary in 2010 – 2011. We skyped with Kanchana in Sri Lanka. A great chance to catch up on lots of small, but wonderful things about the coming Paapedi trip. We also met online two of the volunteers. As I arrived in the rural town of Ratnapura, I was met by the youthful face of Roshan to take me by bike to his small village in the remote jungle of southern Sri Lanka. I quickly made a new friend, as Roshan is a warm character with a great smile. As a volunteer for Journeys for Climate Justice, I was linked up with him through JCJ’S Sri Lankan sister organisation ECO-V.
Roshan is one of the youth who participated in the Journey along the Kelani River in August 2011, and is now initiating environmental projects in his local community. He told me of his life changing experiences on the River Journey, and how it inspired him to leave his previous job of selling insurance to pursue a career in environmental conservation. On the hectic ride up into the Jungle I was astounded by the natural beauty of this remote jungle community. Roshan’s family was eagerly waiting to welcome me to their home and I was humbled by the hospitality of my new hosts. During my short stay we explored many local areas, each one more beautiful than the last. Roshan and I went to the local jungle, visited Sinharaja forest, participated in the village’s first music and dance event, visited local schools to talk about sustainability and implemented a tree planting campaign along a local river to help respond to climate change and to minimise erosion of the river bank. Roshan also plans to develop a herbal medicine farm on a vacant plot of land that his extended family owns, to ensure that community members have access to traditional medicines. We also delved into conversations around climate change. We spoke of the local implications, and about the lack of climate change awareness amongst the local villagers. I wondered whether he had noticed any marked changes in weather patterns or other impacts in his local area? Roshan stated that the norms of weather seem to be changing. He went on to tell me that local villages were experiencing more frequent and severe landslides due to the increasingly heavy and unpredictable monsoonal rains. A few years ago hundreds had died in a nearby village from landslides, destroying thousands of houses and vital infrastructure. Roshan said these incidents have become a real concern amongst the locals, particularly since mitigating landslides is very difficult and requires resources and finances that the vast majority of the villagers couldn’t afford. Roshan also spoke of changes in rainfall patterns, and that in some months when they use to experience consistent rain, they were sometimes not receiving any rain at all. Worry lines formed on Roshan’s face as he spoke about this. In villages like this rain means everything, a constantly flowing river supplies them with water for all of their needs, most importantly drinking water. Even small gaps in regular rain patterns can have major negative impacts on the tea fields, the main source of local income and livelihoods. When I asked Roshan what he thought about the future, he said that he tries not to think too much about it. He finds it quite confronting, as he can see the predicted consequences already slowly coming to light. It is hard to think about the severe impacts he and his community may experience. Roshan stated that he and other villagers are doing what they can to minimize the impacts by planting trees, building landslide walls, and raising awareness. However, there are limits to the adaptations that can be made. He looked at me sadly, the big smile that was always present had slipped away and he said with a sigh that “there is only so much in our control, then the rest is for other people and countries to make the right and humane decisions”. 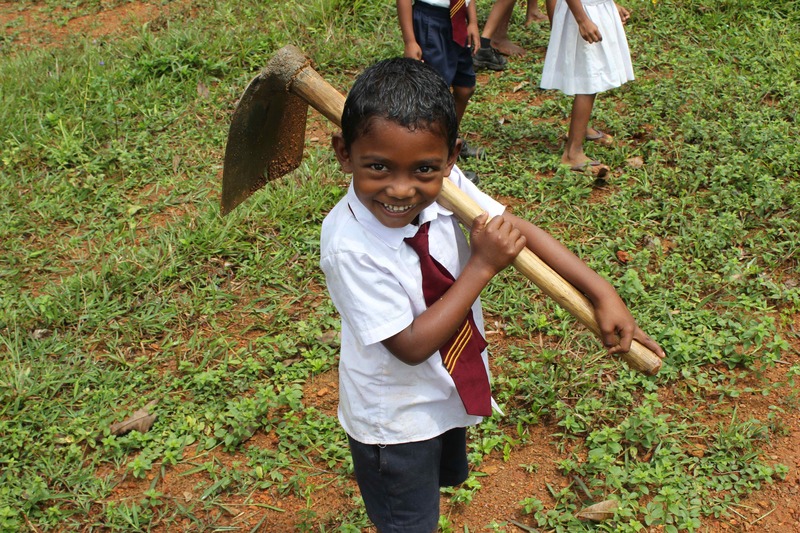 Small donations make a big difference for Sri Lankan youth! 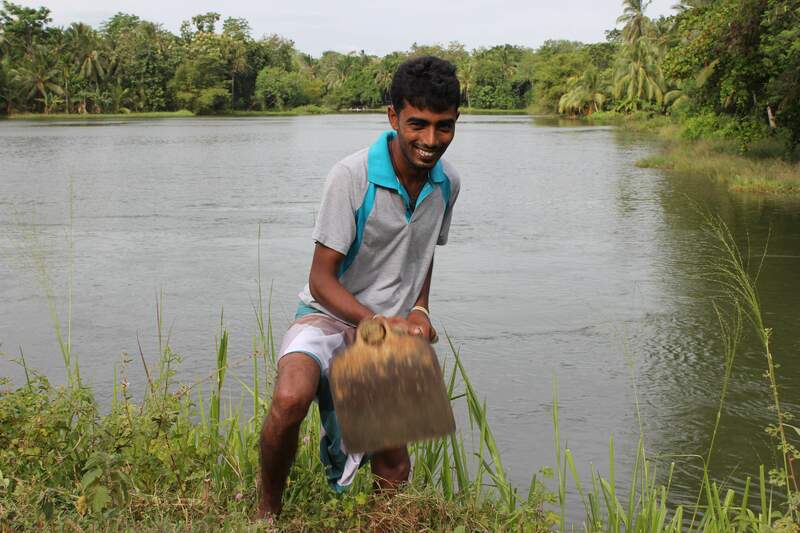 Dhanushka is one of the Sri Lankan youth that left the Kelani River Journey in 2011 with a sense of inspiration and empowerment to develop his own environmental initiative back in his local community. 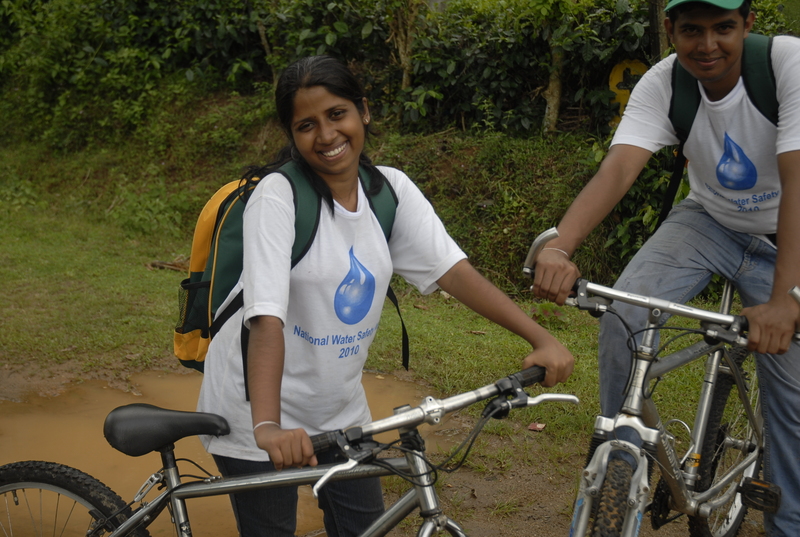 The 2011 Journey was led by ECO-V, and supported by Journeys for Climate Justice (JCJ), and took 25 local youth on a Journey down the Kelani River over 12 days to train, inspire and empower them to become the next generation of Sri Lankan eco-leaders. 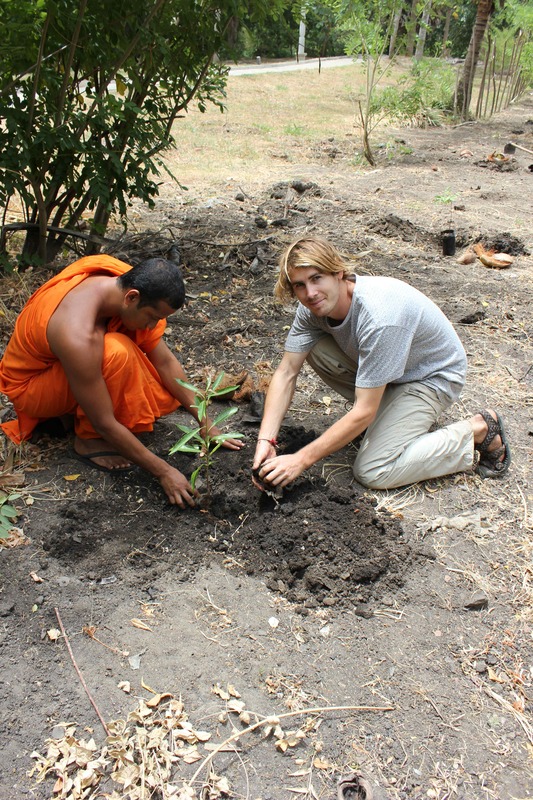 While recently visiting Sri Lanka as a JCJ volunteer, I had the privilege of visiting Dhanushka’s permaculture centre. Dhanushka spends his time working, without pay, on building a permaculture education centre in his local village, where he is working to educate youth and communities about organic farming and sustainability. This will be an eco-tourism attraction and a hub for community education. Dhanushka hopes to develop it so that sustainable products can be grown and made for sale to the public. It will also become a source of organic seeds for the villagers. 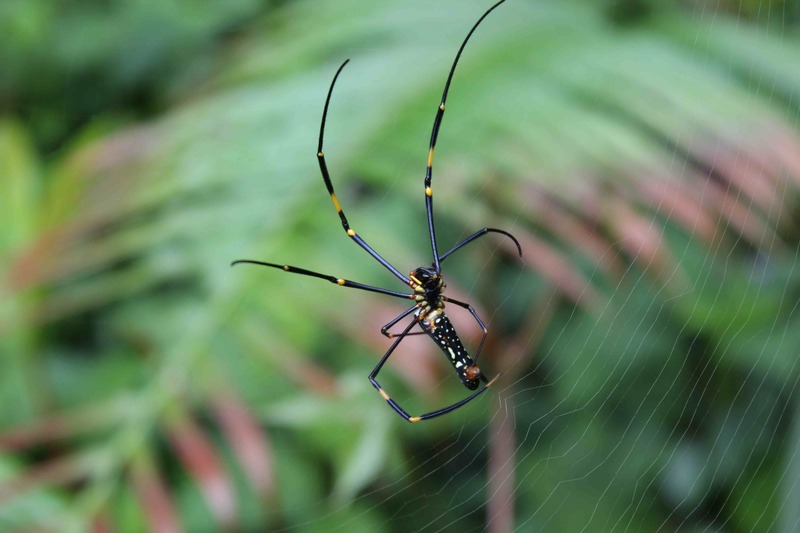 The permaculture farm is situated closeby to Udawalewe National Park, in southern Sri Lanka, located on the boundary between Sri Lanka’s wet and dry zones. This is an area that is already experiencing the impacts of climate change, including more severe rainfall events in the monsoon season, resulting in flash flooding and landslides, and prolonged periods of drought in the dry season. Dhanushka’s ability to teach and give has been an important tool in his progress and in the development of the farm. Dhanushka has engaged twenty local school aged youth to form a working group to develop and expand the permaculture farm. After being supported and trained up to be a leader in sustainability through his involvement with Eco-V and the Kelani River Journey, Dhanushka is now creating more youth leaders himself. Dhanushka has also been a positive influence on the lives of the youths. One, in particular, was a very young alcoholic and heavy smoker until he became engaged with Dhanushka and the permaculture project. Now this boy does not smoke or drink, but has found a new addiction to conserving the environment. Dhanushka spends half the time with these youth educating them about different aspects of the environment, and the rest of the time is spent actively working on the farm as its co-ordinator. However progress has been limited due to the fact that up until July 2012, he and his group of young volunteers had access to only one tool. I was privileged enough to go and stay with Dhanushka and witness first-hand how inspiring he is. Before I began my volunteering in Sri Lanka, I had done some low key fundraising which raised $1, 500 to support projects there. When I visited Dhanushka and his amazing work, we put $95 of the raised funds towards some immediate costs required for the farm. This small amount purchased 10 essential tools, as well as notepads and pens to support the education of youth. It also purchased a DVD learning device for Dhanushka to show the students educational DVDs, covering topics ranging from eco-systems, to climate change and general conservation principles. This shows how such a small donation can support so much change. It would otherwise not be possible as these passionate young people do not have access to such funds. Dhanushka is now in a position where he can make some substantial steps forward with the farm and with his group. He is very excited about the future possibilities for this area but there is a lot of work to be done and a lot more funds needed to further support this amazing and inspiring project. 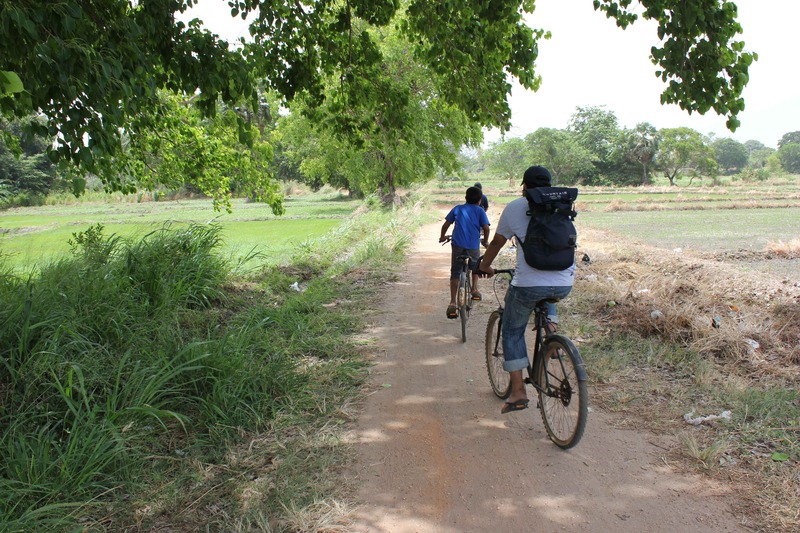 JCJ have just launched a fundraising campaign to generate funds towards Paapedi – a Youth Bike Journey for Climate Justice across Sri Lanka, being run in March by our sister organisation ECO-V. The previous Journey in 2011, Kelani Nadee Yathra was a tremendous success, being hailed as the “most successful environmental education campaign ever run in Sri Lanka” and I can say from personal experience that the transformation in the youth participants was incredible – they were truly inspired and empowered environmental leaders and have gone on to run their own environmental projects in their local communities with our ongoing support. Please go to www.pozible.com/paapedi. We have a great video from Kanchana Weerakoon, and some fantastic rewards for contributors . Please share the link to our campaign with your networks, friends and colleagues (see the icons for Facebook etc.). Your support will encourage others to join in! The campaign closes 11th March – but please don’t let that delay you. Papedi – a bike journey for Climate Justice!! 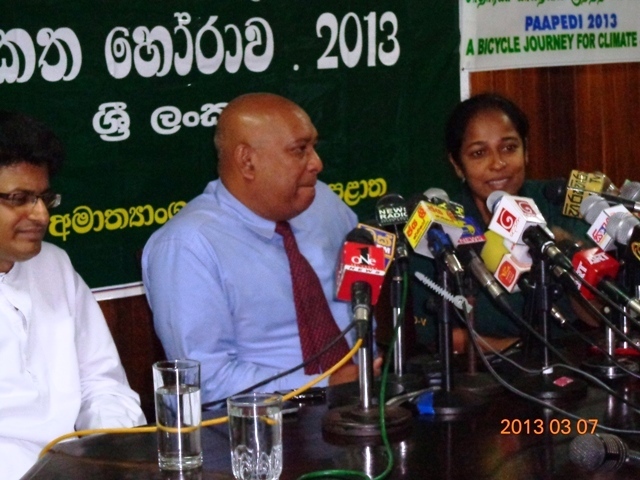 JCJ are pleased to announced that we will be supporting this amazing project in March 2013… it will see 25 Sri Lankan youth bike riding across Sri Lanka for 10 days. The youth will be empowered, inspired and trained as environmental leaders and will go on to initiate their own projects after the Journey. The Journey also aims to raise mass awareness for climate change and other environmental issues, advocate for sustainability and environmental stewardship, and promote bike riding as a sustainable form of transportation. The journey will finish in Colombo alongside Sri Lanka’s environmental leaders for an Earth Hour celebration! Tharindu, one of the Sri Lankan youths that participated in the river journey last year, has been enthusiastically initiating environment projects within his community. 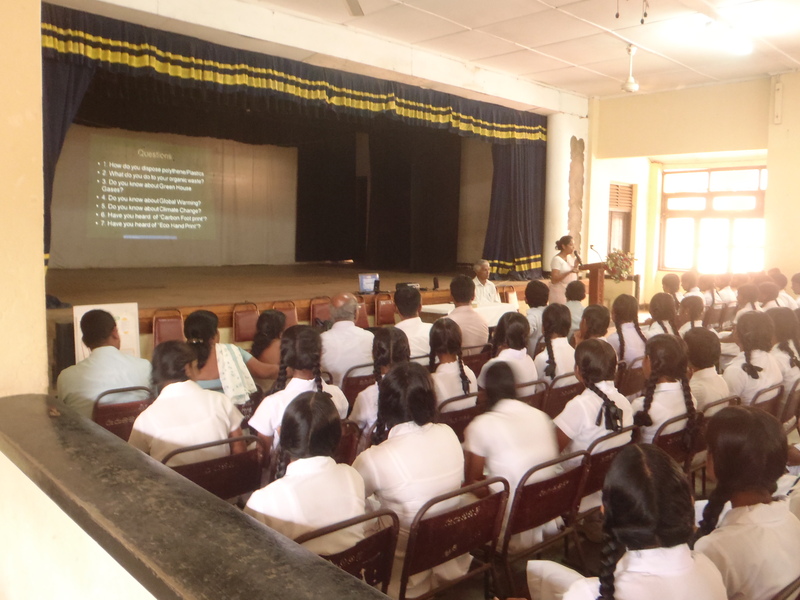 On day two of my time in Sri Lanka, Wednesday 4th July, Tharindu had organized three awareness raising presentation to take place at schools in his local area. Kanchana, Sameera a young university student who is getting training at ECO-V office, and I traveled the distance to present on climate change and sustainability in a more remote area of Sri Lanka. 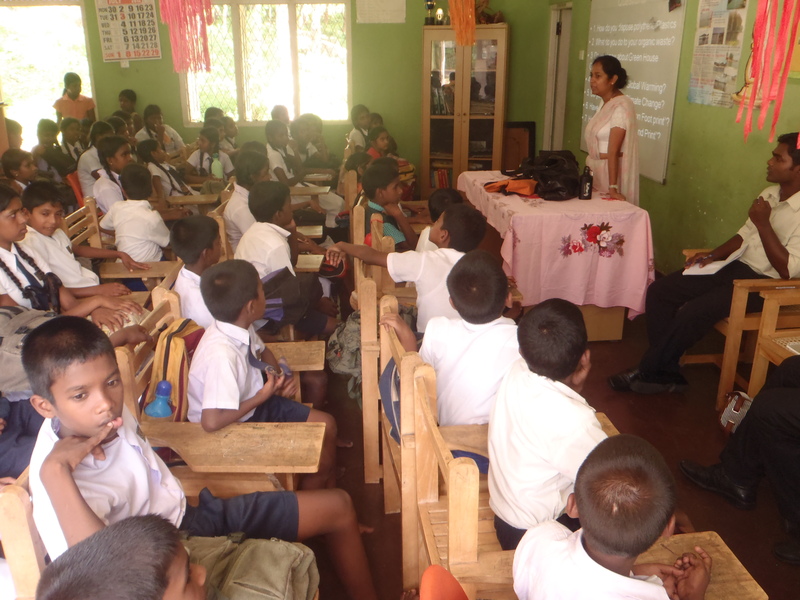 The three schools were situated in Ruwanwella area, two of which were Sinhalese and one Tamil school ensuring that the message and knowledge had a large and varied audience. Each presentation lasted an hour and a half and I was amazed with the undivided attention Kanchana was receiving from the students. At one of the schools the presentation for the older students was done in the main hall during a time that other students were on lunch break. To my surprise the young students snuck in, choosing to listen to Kanchana over enjoying their lunch. The student’s willingness to listen, absorb information and learn about new subjects I believe marks a fine character in Sri Lankans that I have witnessed during my stay here. Within one day this awareness program reached over 450 school students and many teachers. While this presentation was happening we also conducted a survey to get a picture of the knowledge and prior awareness of these topics that these students held. 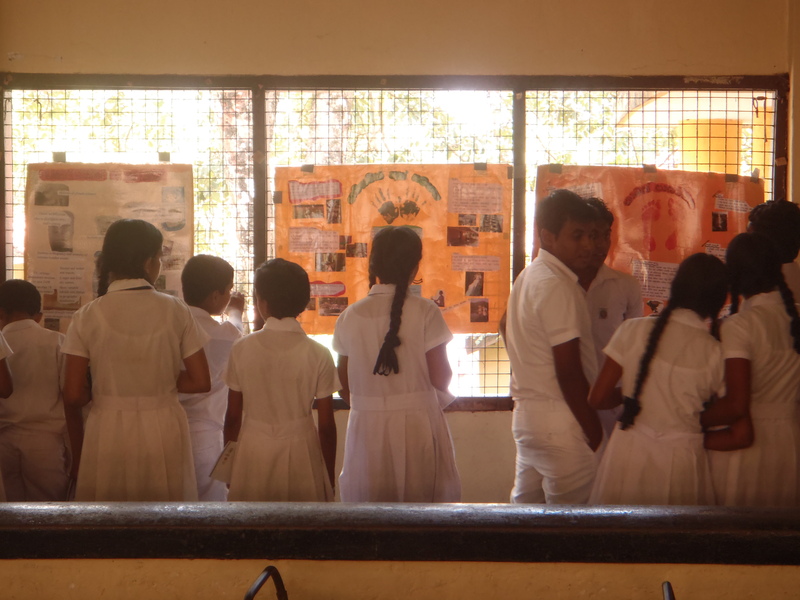 The results highlighted the lack of information provided around sustainability and climate change, illustrating the need for further awareness raising in all areas of Sri Lanka. 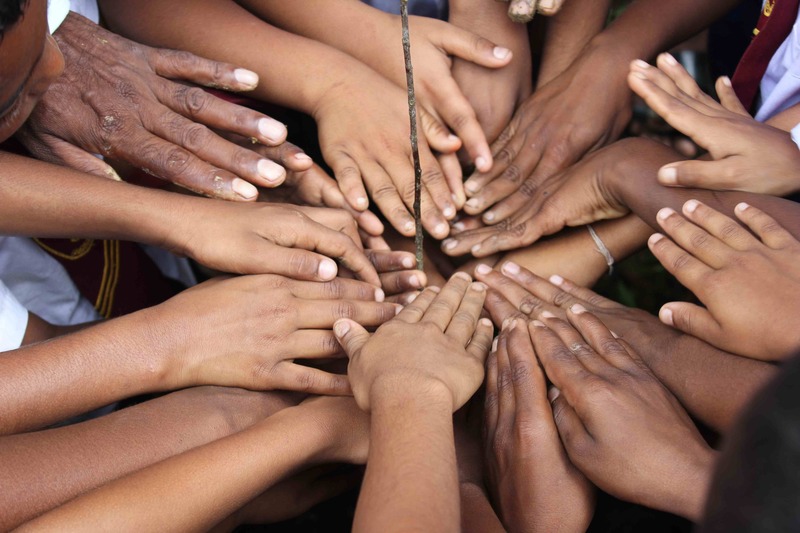 Education and awareness is one of the first and most important steps to social change. This was also a very important networking opportunity by building relationships with different schools and communities around Sri Lanka. a date for a tree planting to happen in the area. These plantings will help the environments resistance towards the impacts of climate change while also reducing CO2 emissions. During this meeting the politician received us well marking the bridges that are slowly being formed between social issues and politicians in Sri Lanka. 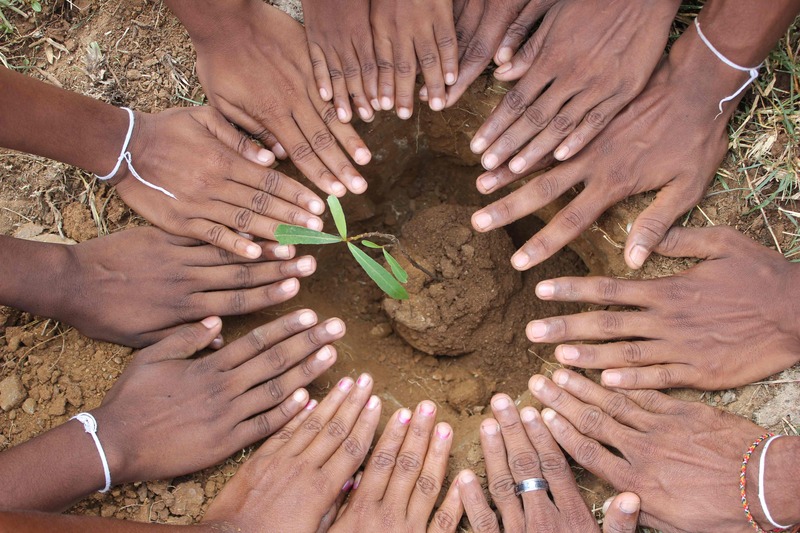 Youths like Tharindu are initiating these grassroots events that are creating positive impacts while also encouraging movement towards a greener future. Eventually it would be the aim of ECO-V and Journeys for Climate Justice to provide these youths with enough support, information and training that they feel comfortable enough to do these presentations and meetings themselves. ECO-V and Journeys for Climate Justice is providing continual contact with these youth to enable their development and empower change within them so that they are able to create further change in their community. Sri Lanka is a beautiful and magical place yet has to face the confronting challenges of a changing climate. I have started my month of working as a Journeys for Climate Justice volunteer and am blessed with the opportunity to work along side Kanchana, president of Eco V and renowned conservationist. On my first morning in Sri Lanka we set out to visit an organic farm in a nearby area. We had been invited to see the progress of the farm, to share knowledge and network with the workers there. Amongst the workers was a man named Sampath, who had been working in environment and organic farming in Sri Lanka for 18 years and had produced 11 books about organic farming. This small group of workers had only had this plot of land for seven months and had already created an amazing sustainable food source, which was producing delicious and healthy food, some of which we took home with us. Organic farming will be paramount in the adaption to climate change especially in Sri Lanka where agriculture is a dominant feature of society and where the need for food security is high. Organic farming is a holistic approach to farming and will be important in societies adaption to a changing climate. 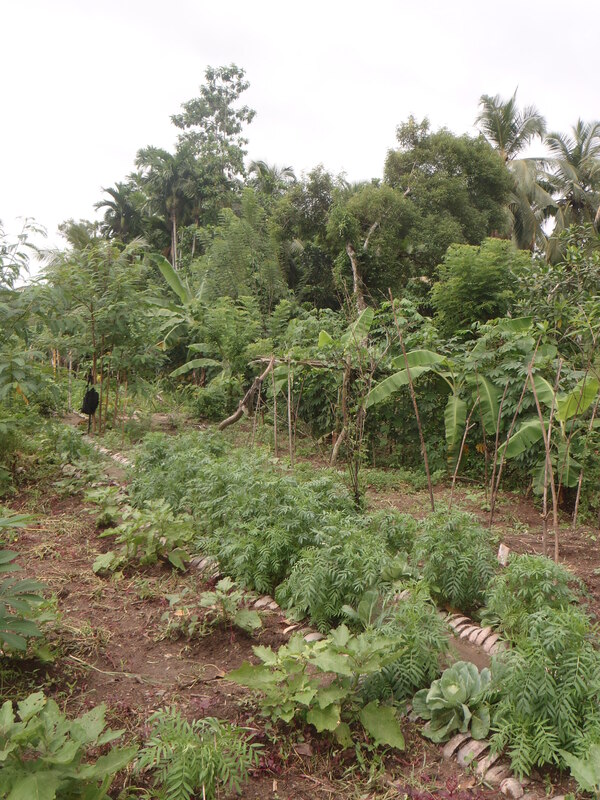 Organic farming reduces the vulnerability to extreme weather conditions such as drought, flooding and desertification, a challenge that Sri Lanka is and will continue to be facing. This reduction is a result of many factors including that organic farming increases soil’s organic matter and improves water holding capacity creating a more resistant environment to drought. Organic farming is also a sustainable system that uses cycles of life including the recycling of plant and animal matter to create a compost to enrich the soil enabling the land to create more produce therefore reducing the use of outside materials. Organic farming produces lower carbon emission, an important step in fighting climate change is to reduce emission in every area of life. The promotion of organic farming is realistic one as sustaining an organic farm has a relative low financial side therefore helping to supporting livelihoods. Sampath raised the concern of not being able to find heritage seeds of certain plants as they were not readily available as hybrid seeds had taken over in the area. Sourcing these seeds is important and also raises the need for a seed bank. Eventually this organic farm hopes to expand the availability of heritage seeds so that they are available for the entire community. During this visit we established a partnership with Sampath where their organic farm will be used as a place to run workshops and teach Sri Lankan youth about organic farming. These skills and knowledge need to be passed on to younger generations so that they are practiced. Through these workshops youth will be able to grasp the importance of this way of farming and share their knowledge with their local and wider communities. On a grassroots level an important part of building resilience to climate change in communities is sharing skills and knowledge.These workshops will not only build their knowledge and skills but hopefully empower them to become young leaders in this time of transition. Over the last few days we have been hard-at-work in the sacred ancient capital of Anuradhapura. This holy city is the home to four of the youth who participated in last year’s Kelani River Journey: Aysha, Januka, Ashmi and Januka. 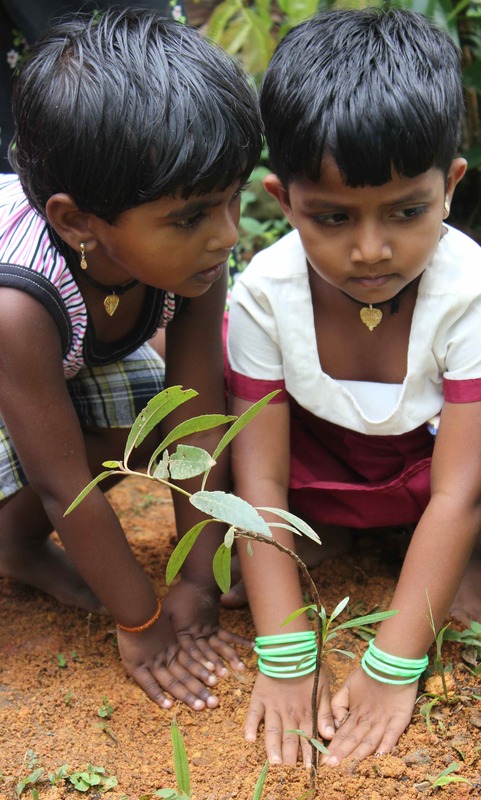 Since the Kelani River Journey, these ‘Yathrees’ have been inspired,and empowered as environmentalists, putting their passion and enthusiasm for nature to great use! I arrived in the city just days after the Buddhist Poya Festival, in which around 20,000 pilgrims flock to the city. The wake of this festival is infamous, with the ancient citadel awash with plastic litter and waste refuse. Over the 2-day project we undertook a tour-de-temples, engaging with local monks about environmental conservation, and enlisting their support to plant trees around their land. 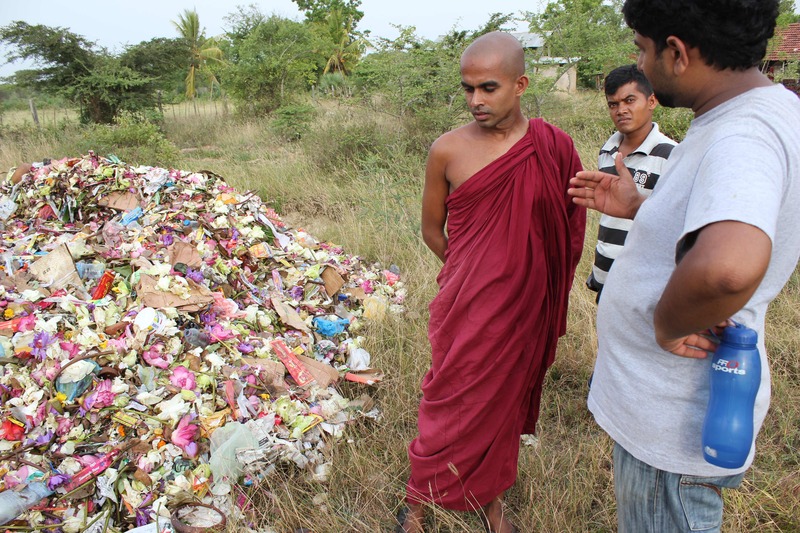 Sri Lankan monks have an important role to play in conservation, since they have great influence over the public masses that regularly congregate to their temples. The monk’s level of environmental awareness varied greatly. In this photo Januka explains how you cannot make compost out of plastic bags! Our campaign was extremely well received, and we had many great discussions around the Buddhist philosophies towards nature. We made recommendations as to how the monks could become more environmentally-friendly, how they could pass this knowledge on to the public, and how we could turn their temples into a hub of environmental conservation. The monks showed great enthusiasm to provide worshipers with a beautiful natural environment in which to meditate. Our eco-friendly transport for the project! This project really planted the seed for future work. Together with the monks the ‘Yathrees’ made plans to run a series of temple-based environmental education workshops, and to form an eco-team the help the temples ‘go green’! Dhanushka: the next generation eco-leader! Dhanushka is a man on a mission! Since joining ECO-V in 2008 as part of a Pelican Research Project he hasn’t ceased his environmental efforts for a minute. Since the Kelani River Journey he has rapidly become the ‘green face’ of Uda Walawe, inspiring and educating others to join his green movement. Dhanushka shows me around his permaculture retreat, a block of land that he is developing into a self-sufficient paradise, teaming with wildlife, tropical fruits and garden vegetables. A group of his youth team join us for the day, and in between building garden beds out of coconut husks he sits them down in his outdoor classroom to discuss environmental issues. Dhanushka’s property has attracted attention from miles around, with daily gatherings of children from local schools and temples eager to learn how to be eco-friendly. We rose early on Dhanushka’s birthday for our first activity, planting 24 trees for his 24th birthday, a tradition that has gained popularity amongst our youth eco-team. From there we moved on to a local school to deliver a climate change workshop, and discuss future collaboration of the schoolchildren with Dhanushka’s projects. This grass-roots level conservation is having profound impacts across the Island, where many poor and rural communities lack environmental awareness and suitable outdoor programs, despite showing keen interest. If you are interested in becoming apart of JCJ’s domestic and foreign activities please contact me at kirkby_d@hotmail.com. I recently had the opportunity to venture deep into the heart of the Sri Lankan rainforest to work alongside one of our Youth Environmental Leaders. Roshan lives in the remote village of Kudimeeriya, on the boundary of the world-heritage listed Sinharaja Rainforest. Since the River Journey, Roshan has felt empowered to turn his stunning village into an eco-haven. He pointed out signs he has erected to protect the forest, the hundreds of trees he and his youth team have planted, and his efforts to build an environmental consciousness amongst his fellow villages. He has just returned from Colombo where he has been discussing environmentally sustainable development through his role in youth parliament. We spent the day visiting local schools and temples to discuss environmental issues and join with schoolchildren to plant trees and clean up plastic litter. The local principal welcomed us warmly, and we made plans to ‘green’ the school with waste management facilities, a vegetable garden, and a series of nature walks to educate and inspire the children. It is wonderful to see our youth eco-team feeling inspired and empowered to lead their local communities towards environmental sustainability. The ripple effects of the Kelani River Journey have certainly reached far and wide. 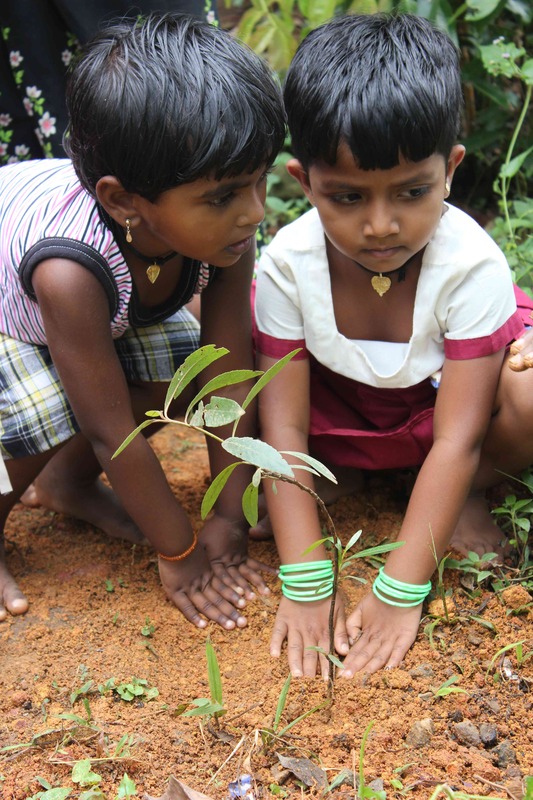 Eco Friendly Volunteers (ECO–V) is a non-profitable voluntary organization established in 2001, engaged in environmental conservation in Sri Lanka.